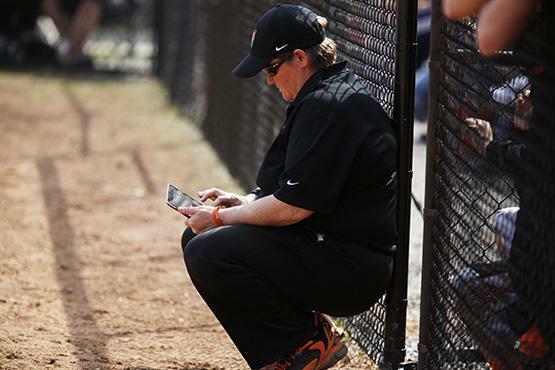 Buffalo State Marie Curran led the Bengals to a 18-14 record this season. 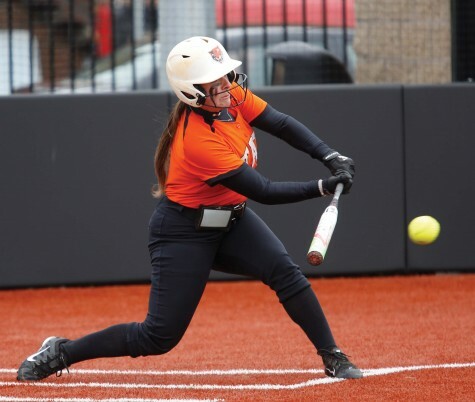 Weather forced Buffalo State softball to play eight road games in five days. 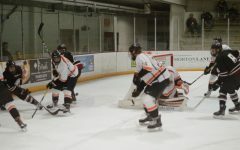 With the regular season coming to a close, Buffalo State was able to finish the road trip 5-3, sweeping Rochester Institute of Technology on Thursday, losing a pair at Oneonta on Friday, sweeping New Paltz on Saturday and splitting with Brockport on Monday. 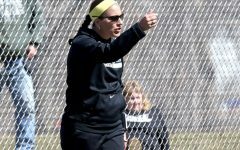 On Monday Buffalo State split a pair with Brockport, winning game one, 3-2 and losing game two, 2-1. 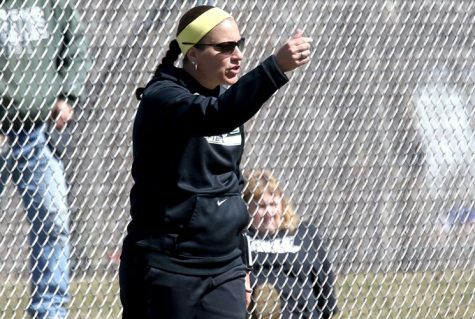 In game one, Rennard singled to left field to score Kate Brownell in the eighth inning, which proved to be the game-winner. Buffalo State outhit Brockport 10 to 3, led by Novo, Gorski and Maggard who each went 2-for-4. In game two, Brockport used a fourth inning home run by Andrea Schell to take a 3-2 lead salvage the nightcap of the doubleheader. 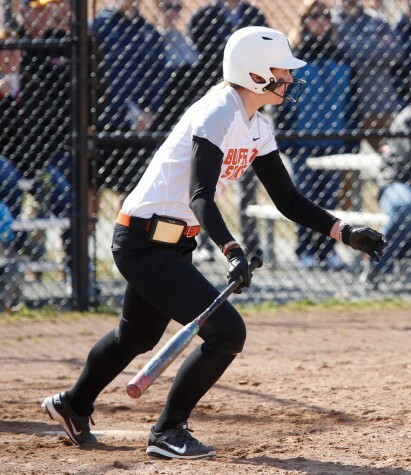 Buffalo State had five hits, with three coming from Jean Stahl, who went 3-for-3. 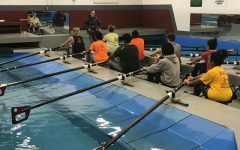 Buffalo State swept R.I.T. in a non-conference doubleheader, winning game one, 7-5 and winning game two, 7-2. The Bengals pounded out eleven hits, led by Bardak, who went 3-for-4 with an RBI and two runs scored. Novo, Gorski, and Jordan Dudish each had multi-hit games. R.I.T. opened the game with four first inning runs off Buffalo State starting pitcher Jordan Sarat. 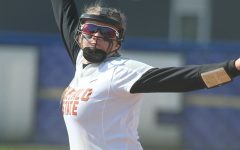 Sarat settled down to pitch four scoreless innings, before giving the ball to Sam Tilkins, who earned the win in relief, allowing one run in two innings of work. 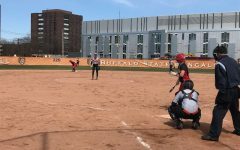 Buffalo State took game two, 7-2. Coneys, Allison Novak and Tilkins combined to pitch a five-hitter to silence R.I.T.’s bats. 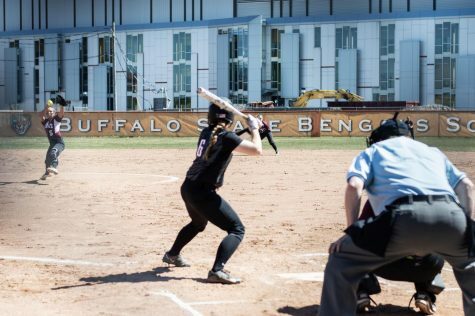 Taylor Swiatek led Buffalo State at the plate, going 2-for-4 with two RBIs. Novo also went 2-for-4, adding an RBI and a run scored. 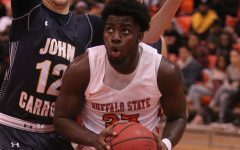 After the pair of non-conference games, Buffalo State headed to Oneonta (25-9, 15-3 conference), the top-team in the SUNYAC standings. 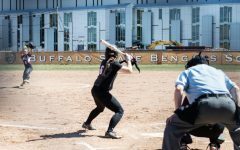 Buffalo State fell in game one, 2-0 and in game two, 6-1, on Friday. 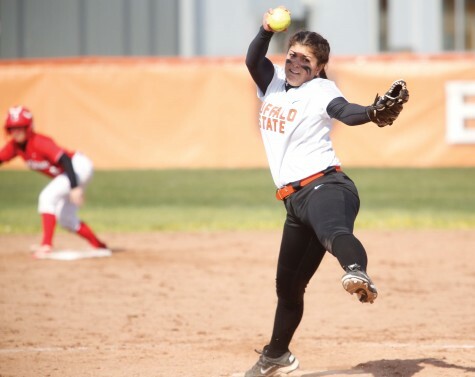 In game one, Buffalo State couldn’t solve Oneonta pitcher Sabrina DeAngelis, who threw a complete game shutout, allowing just two hits. DeAngelis, leads the SUNYAC with a 14-5 record and a sparkling 0.95 ERA. Batters are hitting just .223 against the freshman right-hander. 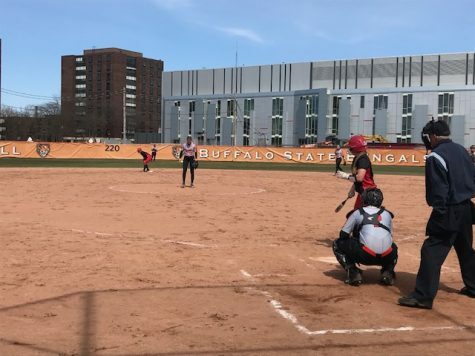 In game two, Buffalo State had to deal with DeAngelis again and finally solved her when Bardak hit a double to plate Novo. However, Oneonta scored six unanswered runs to pull away for the 6-1 victory. 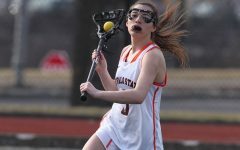 The Bengals then traveled to New Paltz on Saturday and clinched a playoff berth with a sweep of the Hawks. Buffalo State took game one, 9-1 and game two, 3-2 in 10 innings. In game one, the Bengals batted through the order and scoring five runs in the top of the first. 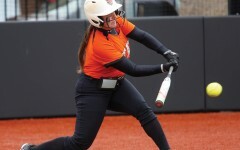 Buffalo State finished with nine hits and Carly Knight powered the offense, going 2-for-3 with three RBIs. Gorski had a multi-hit game as well, finishing 2-for-3 with three runs scored. New Paltz pitcher Katie Rutcofsky pitched all 10 innings and only allowed six hits. The Bengals left seven runners on base, and were shutout for eight consecutive innings before Maggard’s RBI single in the tenth inning. 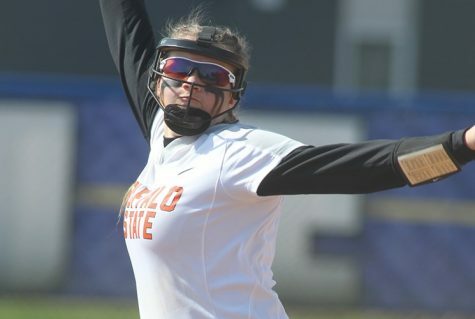 After being held to six runs or fewer in five straight games, Buffalo State found its offensive success again, scoring seven or more runs in three of their six games over the weekend. 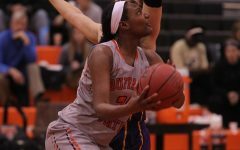 Buffalo State finished the regular season 18-14 overall and 10-8 in SUNYAC play.